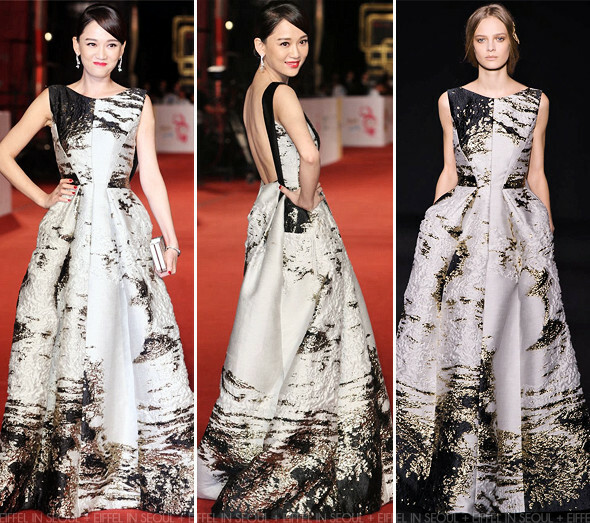 Taiwanese actress, Joe Chen (陈乔恩) attended the 49th Golden Bell Awards held at Sun Yat-sen Memorial Hall in Taipei, Taiwan on October 25, 2014. She was dressed in a backless metallic jacquard gown from Alberta Ferretti Fall/Winter 2014 collection. A pair of drop earrings and a white clutch completed her beautiful look.